An interview series with women who are making our world better. We're on the rise. Join us. Stay up-to-date on our latest news, events and information. Shannon gave birth to 4 babies and a yoga studio in 8 years! She lives on a ranch in Marin County and weaves the landscape of West Marin into her work and personal life. She gathers eggs from her chickens, packs her kids' lunches, then drives to her yoga studio to clean the bathroom before teaching yoga. It's all part of the Practice. Shannon's studio, Pomegranate, is a yoga community for women and families in San Anselmo that focuses on prenatal yoga, postnatal yoga, childcare, and women's yoga classes as well as parenting and wellness workshops. 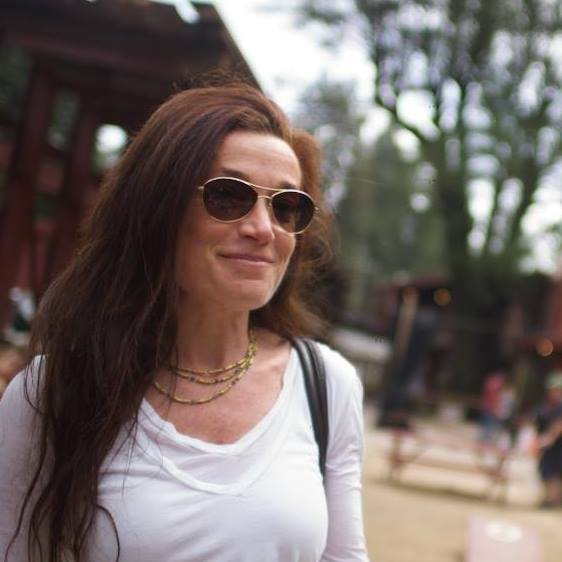 Shannon's personal vision lines up with her vision for Pomegranate: deeper connection to self and to the world through yoga, community support, and education. Karen is a top executive coach and author who works to inspire, motivate and empower clients and readers to achieve optimal performance and success in their business and personal lives. She started her career as a corporate lawyer, working for a top firm in New York, and moved on to the executive teams of two technology start-ups in London, England. It was there, at the age of 28, that Karen began her journey away from law and adopted a new approach to her personal life. After years of long hours and little self-satisfaction, she decided to switch gears and pursue what truly fulfilled her. Karen founded Forward Options, a business that helps others discover, define and achieve their visions of success through optimizing their performance at work, changing course, or pursuing and entirely new vocation. Her book, Find Your Sweet Spot, is an insightful and helpful guide for achieving excellence in one's work and personal life. Karen speaks on a wide variety of topics including productive mindset, navigating the corporate suite, jumping on a different career track, and juggling a full personal life alongside work, while cultivating the awareness to live a meaningful and satisfying life. Gibson grew up in the South and learned early on the magic that happens when you bring people together to share a lovingly prepared meal. She practiced corporate and securities law for many years, eventually finding a way to turn her passion for good food and good food producers into a vocation with the founding of Edible Marin & Wine Country magazine in 2009. Gibson is grateful to be raising her son in Northern California, where she has found a wonderful tribe of like-minded people. Follow your heart and don't be afraid to take a leap of faith! Jessica Vibberts is the Founder and Chief Strategist of Full Potential Ventures. She has devoted her life to growing authentic and brave leaders and organizations, focused on the people who bring great ideas and powerful impact to life. Her leadership and people strategies have steered organizations through significant periods of change, market downturn, founder transitions, and culture makeovers, all while triumphantly landing them on the 50 Best Nonprofits To Work For list or gaining national recognition and funding for excellent programming. Her creative approach to living and working led her to uproot her family from a cozy suburban life in the Bay Area, to a globe-trotting adventure that keeps her awareness and senses heightened and fresh; she currently calls Mexico her home base. Kassin Adelman founded boutique interior design firm IDF Studio in 2010. She’s responsible for growing the company from the ground up – her firm has designed many A-list homes across the Bay Area and creative startup offices such as Airbnb, Blend, StitchFix and Tradeshift. So far in 2018, they’ve been on the cover of Modern Luxury’s Interiors California and won BlueStar’s Kitchen Designer of the Year. Describing their style as courageous, Kassin’s team is not afraid of color and pattern, and is able to bring the best of a client’s personality to their space. When designing offices, the team is culture-focused, believing that the best work environments are pervaded by a company’s story and values. Kassin lives with her husband and stepdaughter in Mill Valley, CA and spends her free time entertaining friends at home. She is inspired by her travels around the world and time spent outdoors hiking the hills in her Bay Area backyard. International Retreat Leader, LifeSTYLE Design Coach, and Founder of Sweet Spot Style, Desha Peacock works with creative entrepreneurial women to upgrade their lifeSTYLE and live fully in their sweet spot. She is also the author of Create the Style You Crave and Your Creative Work Space. Desha holds a master's degree from The School ofor International Training, is a certified Global Career Development Facilitator, and has led workshops and retreats acrossthe globe. She's been quoted or featured in Origins Magazine, Design Sponge, Flea Market Decor Magazine, The Jungalow, ABC News, The Huffington Post, The Houston Chronicle, YahooNews.com, Career Rookie, and US News Money and has made radieo and TV appearances across the nation. After being introduced to S Factor over a decade ago, Kerry Anne is thrilled to be business partners with her sister, Jennifer, realizing a long-time dream to own a studio together. Now, she is over the moon to come to work everyday with such a fierce group of dedicated women found in their incredible team of teachers and front desk Ambassadors and, of course, their students. Jennifer has been married for 20 years and is the mother of two amazing kids. She has a daily yoga and meditation practice. When she is not working at the studio you can find her hiking the trails with her dog Nala or driving her kids to dance and rehearsals.